Now you can use your own image as your blogger blogs background. If you want the answer of the question "How to Change Background Image in Blogger" and use your own custom image for your blogs background, keep reading this post. After blogger has launched the Blogger Template Designer, one of the most requested features was the ability to upload your own background image. Though blogger provides hundreds of professional stock photos from iStockPhoto, they know how many of you are serious photo buffs and would like to use your own beautiful photo as your blog's background image. #Step 1. Go to Blogger in Draft. Log in to your Blogger Dashboard and Navigate to Design > Template Designer > Background. #Step 2. click on Background Image, and you’ll notice a new “Upload image” option, which will allow you to select and upload your image. 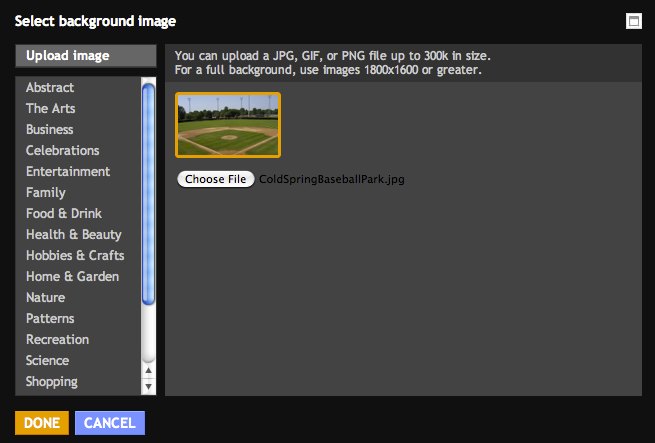 Upload your custom image and save the template. For images that fill the entire background, we recommend using a resolution of 1800 pixels wide and 1600 pixels high, and file size less than 200KB to minimize the loading time of your blog pages. 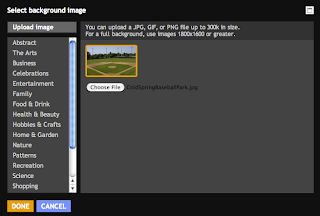 We support JPEG, GIF, and PNG format images. After uploading a photo, you will see additional options that are not available for the built-in images: Alignment, Repeat, and Scroll options. Alignment: You can adjust horizontal (left, center, right) and vertical (top and bottom) alignment of your background image. Repeat (Tile): If you have a small image, you can have it repeat horizontally and/or vertically to fill the page. Otherwise, we recommend that you choose a page background color that blends in with your background image. Scroll: By default, your image stays in place while readers scroll the page contents. By selecting the “Scroll with page” option, both the background image and page contents scroll together. We recommend that you use an image that blends into your background color or set your image to tile vertically if you choose this option. This feature is available on Blogger in Draft right now, so please go ahead and check it out! Get free information related to "How to Change Background Image of Your Blog in Blogger". so many people have custom templates, you should add how to do this through html as well.